Great are the artists who inherently possess munificence and humility, and who, through the blinding magic of their talent, open their artwork to us and invite us to share in the world's beauty. Nobility of character and inner beauty characterise Denis Hernandez, and his compositions transcend the original cradle of Norman landscapes, the Aubrac plateau, Brittany, and other natural wonders. Passionate about drawing from a very early age, it was at 15 that Denis Hernandez took drawing and engraving lessons in Oissel, in the annexe of the Fine Arts School of Rouen. He studied sculpture and drawing under Chaplin, engraving under Maillard, and painting under Marie-Claude Legrand, Georges Marianon's daughter. The artist retained from this quality teaching the skills and ability to transmit the passion passed on to him from his Masters, who included his father-in-law Marcel Peltier, Fernand Elie and Louis-Jacques Vigon. 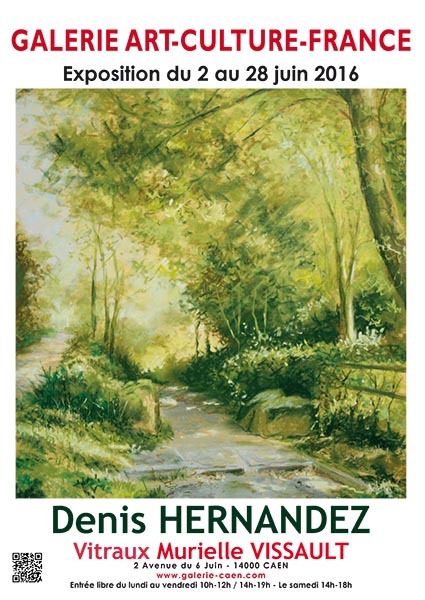 As a pastellist dedicated to precise craftsmanship and a colour range of a delicate and touching lyrical purity, Denis Hernandez produces pieces which, through their lyricism and sensorial appeal, represent authentic snapshots of an instant emotion. The artist explains, “A landscape's beauty stirs a strong emotion within me and it is then than I can begin to create, when I'm overcome by the perception and the desire to reproduce it.” Through his majestic approach, his perfect mastery of dry pastels and palette of nuances, Denis Hernandez celebrates light and its contrasting shadows in each artwork, engaging them in a continuous dialogue with the mysteries and unusual atmospheres of the Norman landscapes. 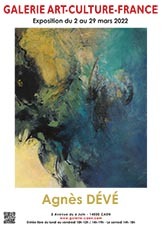 Using several techniques to respond to his aspirations (dry pastels, acrylics and oils for his mixed technique, and pencil and Indian ink for drawing), the artist has employed his acrylic palette to produce many a refined theme and work of finesse. Surprising structural perspectives combine with a tremendous audacity in terms of nuances and pictorial movement, conferring charm, romanticism and an exquisite freshness to his compositions. Medal-winner at the Academy of Art, Science and Literature in Paris in 2011 and 2013, Denis Hernandez also received the Marcel Peltier Prize in 2013 to mark his forty years of devotion to painting. His impressionism, a veritable Dionysian hymn to nature, evokes joy, poetry and easy living. If we look closely at the light and realism in Denis Hernandez's artworks, we can hear the gentle lapping of the water, and the rustle of the wind as it sweeps through the heart of nature with its sweet enchanting melody. And we feel, quite simply, a sense of happiness.